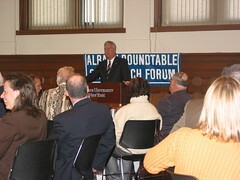 Thanks to all who attended the first Albany Roundtable luncheon of 2009! Click the photo above to view a slideshow from the event. Watch this blog for more information about the next luncheon on 2/11/2009 with our featured speaker Senator Neil Breslin!